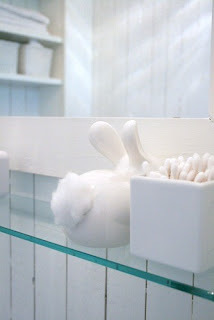 I saw this rabbit cotton ball holder on Pinterest & thought it was the cutest little thing! Then my momma picked up this one! I just found it on the shelf & asked if I could have it & as generous as my momma is she said of course! I'm just pondering whether to paint him white or keep him brown, What do you think? 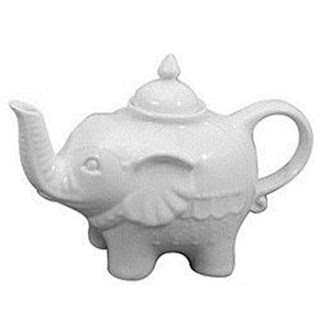 Also I pinned this Teapot & I saw it on the lovely Susies blog so when I saw it for a tenner in the window of my hardware store the otherday & I thought why not? & snapped him up. Can you tell I am always broke? I spend all my money on things I don't need. Never knew I was such a material girl... Ok I did.